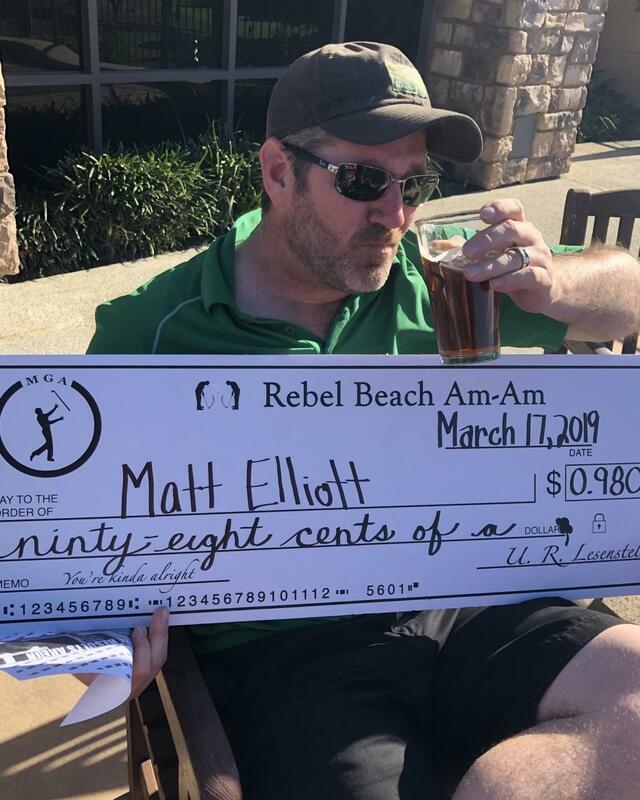 The CVMGA, Rebel Beach AMAM was filled with laughter and beer. One would think that golf was played, and I guess you can say golf was played. It was played and played and played. Golf actually happened at this event. 14 medios came out for the 86 degree weather. With the sun out, the scores were lower than expected. We did see seven medios in the 100's. Which I hope is the norm for the season. You all know with scores in the 100's, it shows that we are really mediocre and belong. We are a simple chapter and with simplicity, we ask that you see our pictures on instagram.